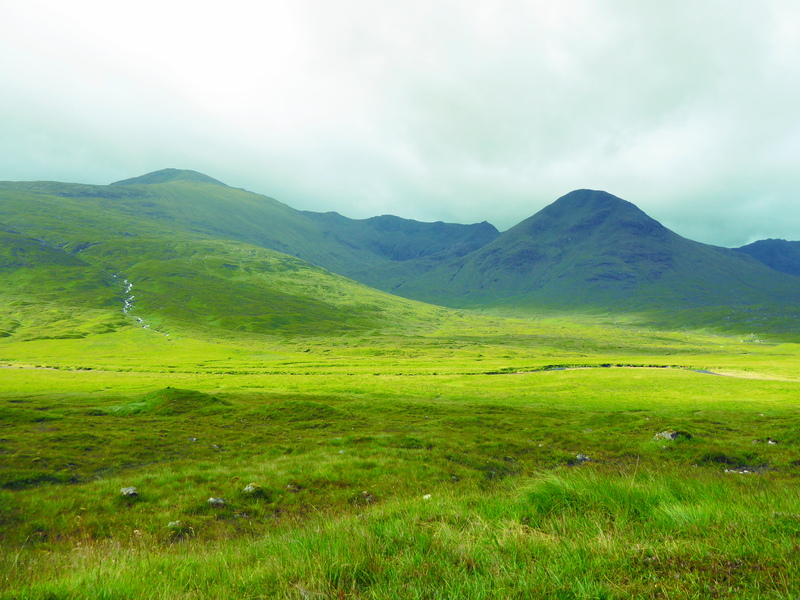 ← Heading West to beat the weather hopefully Sgurr Gaorsaic, behind Beinn Fhada. Yesterday I headed to Kintail after picking up Bernie from Forres early, he was still full of the cold as we headed West. Sadly the we weather was poor and after 2 hours driving we arrived at Kintail in a downpour. Every 20 minutes we had heavy rain and then sun came out and as I wanted to get my new Corbett in good weather with views. To both of us after years of training in the rain and wind it was an easy decision. 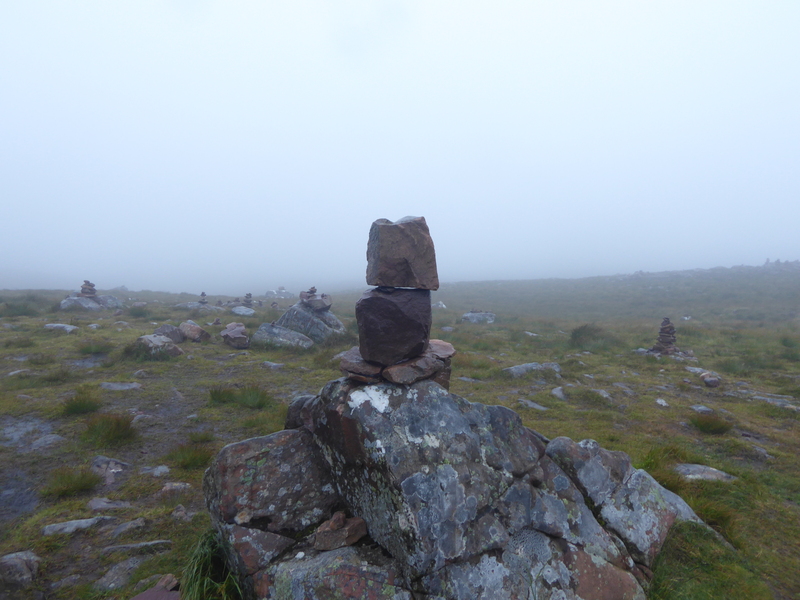 We headed away hoping for better weather at Beleach Na Ba and an easy hill day hopefully. On the way we spotted a few tractors bedecked with Scottish Flags I never got a photo of them I wonder what they were up to but they were great to see in the driving rain and no shelter. Kintail in between showers such a green and pleasant land. 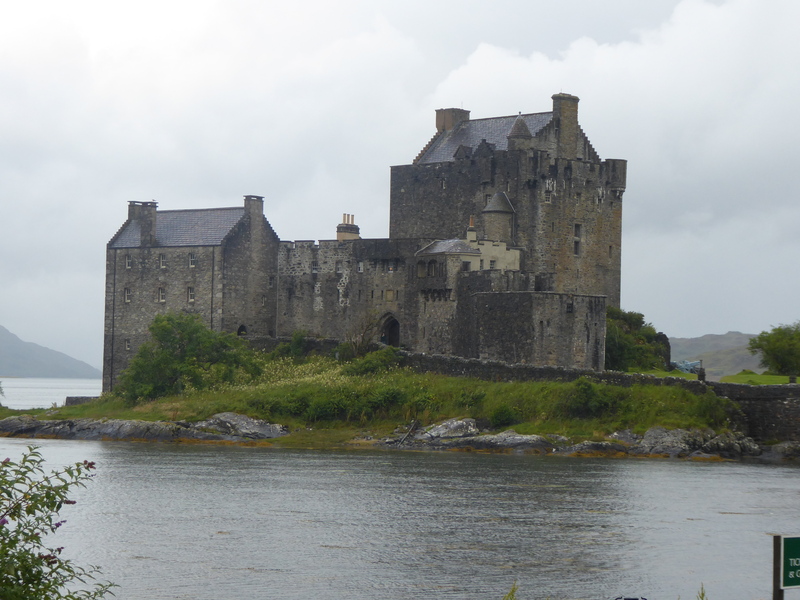 We passed the Castle at Dornie there are few cafes open before 0900 on the West and even less toilets most are shut. It was getting busy already but the cafe did not open till 0930 but the loos were. We headed on past the busy road a stream of motorbikes not enjoying the rain were now out in force but the weather was making for slow driving. The Castle at Dornie busy even a 0900 ! It was then a long to Loch Carron stopping when the weather allowed to get a view, this is some trip that I never take for granted. My mate Bernie was loving it and glad he was not out on the hill as the rain battered the car, at least there were no midges. 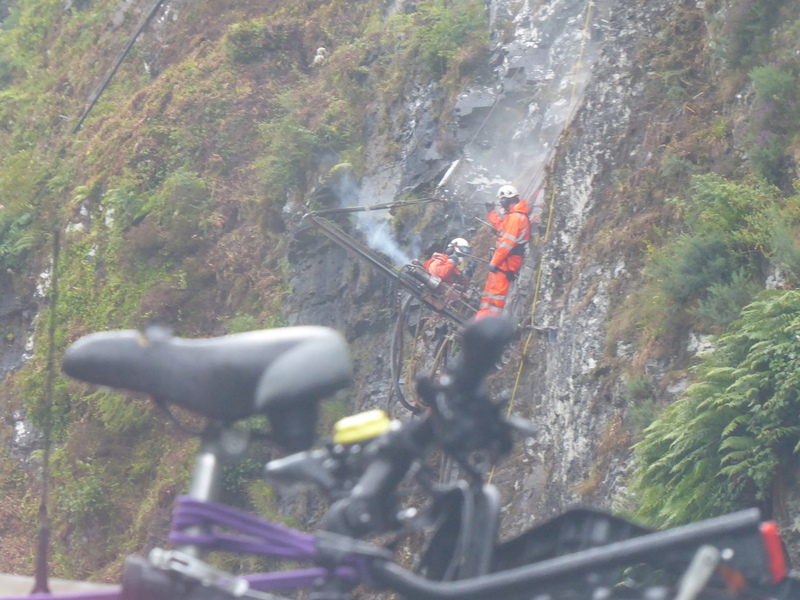 They were working on the road near Stromferry( No Ferry) up on the cliffs in the rain and they had midgy nets on at the traffic lights, I did not envy that job trying to stop the erosion and rock fall a never ending task, they were soaked and what conditions to work in today. From here we followed the road to Loch Carron and a bacon roll in the lovely Waterslide Cafe in the main street. It was a good stop and they looked after us, From here we headed up to Beleach Na Ba as Black clouds hit the sky. Bernie had not been here before and enjoyed the drive up the windy road that in the weather was so quite only a few brave motor bikes, they were wrapped up like a winter’s day. 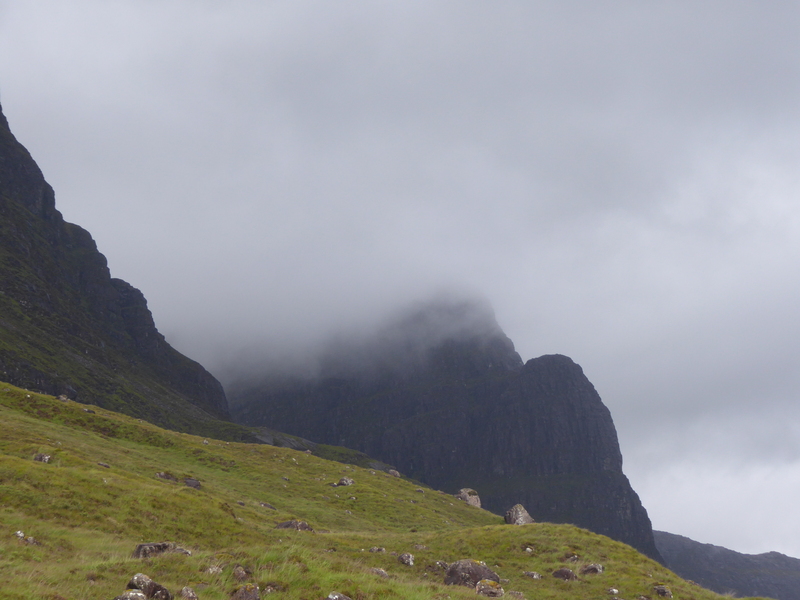 The Cioch at Applecross in the mist. We headed up to the Beleach it got windy and the rain belted down the favourite cliffs looked bleak and the water poured off the hills and gullies. In the rain and mist this rivals Glencoe for mystique and history, what a country we live in. 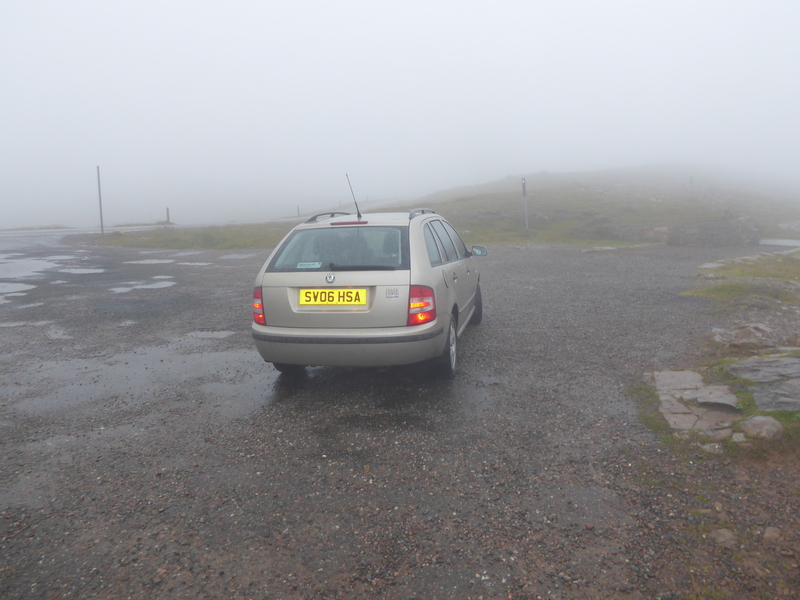 We were soon up at the car park usually busy in late July but only one other car was there. Any plans to go out for a wander were binned it was pouring and so cold. It was not a place to linger at all. July in Scotland to be fair the West has had great weather till my visit. Typical. We headed of to visit a pal but she was working so a quick stop at the Applecross Smokehouse for some salmon and Cheese then head home via a misty Torridon with the weather getting better as we headed home into the sun. How can I moan about a missed hill day, I could have gone out and got soaked and no views but we had a grand trip round the West Coast and some great views even in the poor weather, how many would have loved to have done that trip yesterday? Skye is over there in the mist Bernie! This entry was posted in Enviroment, Friends, Weather. Bookmark the permalink.